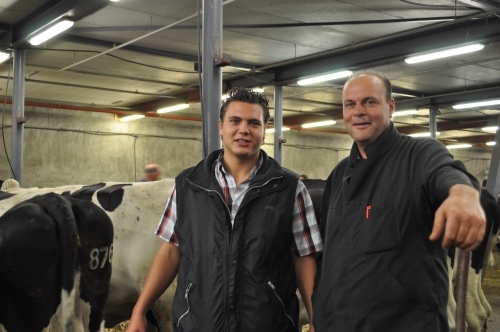 General – Veehandel de Haan B.V.
Cattle trader Veehandel de Haan B.V. has a long history as a cattle trading family. Due to the Foot-and-mouth crisis our company has increased its dynamics. Besides the exisiting trade in slaughter and grazing cows we have increasingly specialised in the trade (buying and selling) of complete herds, new born calves, breeding cattle and bearing heifers throughout the Netherlands. We also arrange the import and export of cattle herds and bearing heifers to multiple EU contries through our company de Haan International B.V.
For international transport we use the services of Gebroeders Dijkstra from Hijlaard.